At Crawl Space Solutions of Arkansas, we're proud to offer a complete line of the best basement waterproofing products for your home. We offer quality sump pumps and energy efficient dehumidifiers for your home -- we also offer a full line of other products to help you upgrade your space. Contact us today for a Free Estimate in the North Little Rock, Little Rock, Benton, Jacksonville, Alexander, Sherwood, Greenbrier, Maumelle, Hensley, Bryant, Mabelvale, Perryville and the surrounding Arkansas area. Are you satisfied with how your basement looks, feels and smells? Crawl Space Solutions of Arkansas offers products that can quickly and cost-effectively add beauty, value, and energy efficiency to your basement. At Crawl Space Solutions of Arkansas, we're proud to offer the complete line of Basement Systems® products, with a solution for every problem homeowners have with wet basements. 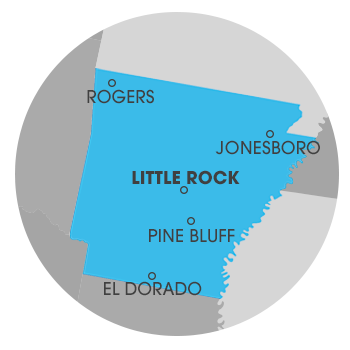 We offer free waterproofing quotes in Little Rock, North Little Rock, Benton, Jacksonville, Greenbrier, Maumelle, Sherwood, Alexander, Perryville, Bryant, Mabelvale, Hensley and nearby. To schedule an appointment with your local expert, contact us by phone or e-mail today!